Could better ties with Russia hurt the US relationship with western allies? In less than two years in office, President Donald Trump has come to dominate the world stage through his showmanship – something many leaders are willing to indulge to win his favor. From a military parade through the streets of Paris to a historic stroll on Sentosa Island in Singapore, he revels in the spectacle, even as critics often chide the lack of substance. Now, he'll finally have the summit he always wanted, with Russian President Vladimir Putin in Helsinki, Finland. But analysts warn that his push for closer ties could further erode the U.S. relationships with Western allies, or even tear at the post-World War II order the U.S. helped to create – and it energizes Russia's aggression around the world, but particularly into American elections, undeterred and even emboldened. On Friday, the special counsel's office announced it had indicted 12 Russian intelligence operatives for allegedly hacking the Democratic Party and Hillary Clinton's campaign as part of its effort to block Clinton from winning the presidency and aid Trump's candidacy. While the White House again denied any connection to the Russian plot, the news sparked a fresh wave of outrage and calls for Trump to cancel his summit. (Sean Gallup/Getty Images) President Donald Trump speaks to the media at a press conference on the second day of the 2018 NATO Summit on July 12, 2018 in Brussels, Belgium. "I'm afraid that actually the president could be taken advantage of," said Sen. Mark Warner, the top Democrat on the Senate Intelligence Committee which conducted its own investigation of Russia's interference. "If he and his team are not willing to make the facts of this indictment a priority of the meeting with Putin, then he needs to cancel the Helsinki summit," he added, one of several Democrats to call on Trump to cancel. Even though the president's unlikely to cancel, the political pressure has now grown exponentially that he stand up strongly against Putin and demand Russia stop meddling in U.S. politics, including from Republicans Rep. Ed Royce of California and Sen. Ben Sasse of Nebraska. But Trump has also effectively sown doubts about Mueller's investigation by calling it a "witch hunt," making it unclear if he would pay a political price for failing to take a stand against Putin. Trump's personal lawyer, Rudy Giuliani, worked to dismiss the news, tweeting Friday, "The Russians are nailed. No Americans are involved. Time for Mueller to end this pursuit of the President and say President Trump is completely innocent." Cancellation or not, experts say so far Russia has not paid a sufficient price and remains undeterred. Trump's own Director of National Intelligence said as much in February, telling Congress, "There should be no doubt that Russia perceives its past efforts as successful and views the 2018 U.S. midterm elections as a potential target for Russian interference operations." "They have really not incurred any significant penalties for what they’ve done to us, the French, the Brits," said Brett Bruen, a former diplomat who was Director of Global Engagement at the National Security Council. He said he's concerned "Putin will walk away feeling like he's got a tacit approval to continue to meddle because, in some ways, it almost aligns with Trump’s own interests in trying to break down institutions, to muddy the waters." That's the concern of many allies as well, who have faced Russian aggression in their own ways. Russia allegedly meddled in the 2017 presidential election in France and the 2016 "Brexit" vote in the U.K., where it's also accused of deploying a nerve agent against a former spy and his daughter – the first use of a chemical weapon in Europe since World War II. To the east, they invaded Ukraine, where they have led and armed separatists, while illegally annexing Crimea. They attempted an assassination attempt and coup in Montenegro in 2016 and fomented anti-Macedonian protests in Greece last month, as both Montenegro and Macedonia moved towards NATO membership. They still have troops from invasions into Moldova and Georgia. To some, Trump's predecessors also share the blame for doing little to push back, especially after Trump's administration has taken steps to make Russia pay a price for its various violations of international norms: Providing lethal arms to Ukraine to fight what they've called the Russian-led separatists; expanding sanctions on Moscow for its illegal annexation of Crimea; and expelling diplomats and shutting down a consulate over the nerve agent deployed in the U.K. But in office, Trump's dismissive rhetoric has emboldened Russia, analysts say, as he persists in his pursuit of friendship with Putin. 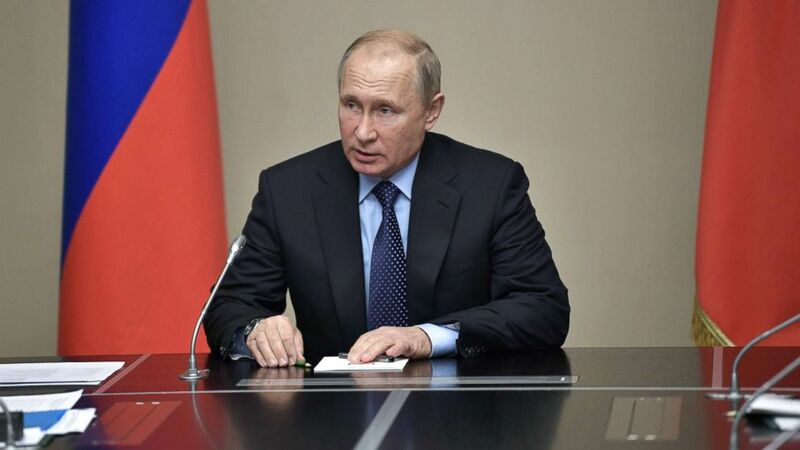 (Alexey Nikolsky/AFP/Getty Images) Russian President Vladimir Putin speaks as he holds a meeting with permanent members of the Security Council of the Russian Federation in his residence of Novo-Ogarevo outside Moscow, June 21, 2018. "Putin is fine. He's fine. We're all fine. We're people," Trump told a political rally on July 5. "He's not my enemy, and hopefully, someday, maybe he'll be a friend," he said Friday at the headquarters of NATO, the western alliance he has consistently bashed while it fights to counter Russian aggression. "Putin's an adversary. He wants to hurt the United States. That's not incidental to Putin's agenda, that's central to Putin's agenda," Amb. Dan Fried, the Assistant Secretary of State for Europe under George W. Bush and top sanctions official under Barack Obama, told ABC News. "So, 'Get real,' I would say to Donald Trump. 'Know who you're dealing with. Don't be a sucker.'" A former KGB agent who cut his teeth in Soviet-backed East Germany and whose critics even describe him as persuasive and fiercely intelligent, Putin is looking to manipulate Trump into agreeing with his interests at the expense of America and its allies, using the flattery and deference that Trump is known to be susceptible to. "Putin will get Trump one on one and after a week of discomfort and frustration in Brussels and London. We should brace ourselves for some serious concessions to Russia, particularly when they align with Trump's long-term instincts, like on pulling out of Syria," said Loren DeJonge Schulman, Deputy Director of Studies and the Leon E. Panetta Senior Fellow at the Center for a New American Security. In particular, there are concerns that Trump would halt military exercises with allies in central or eastern Europe or draw down America's military presence there, just as Trump emerged from his meetings with Kim Jong Un parroting North Korea's lines about how the U.S.-South Korean military exercises are "provocative" "war games" and suspending them this summer. 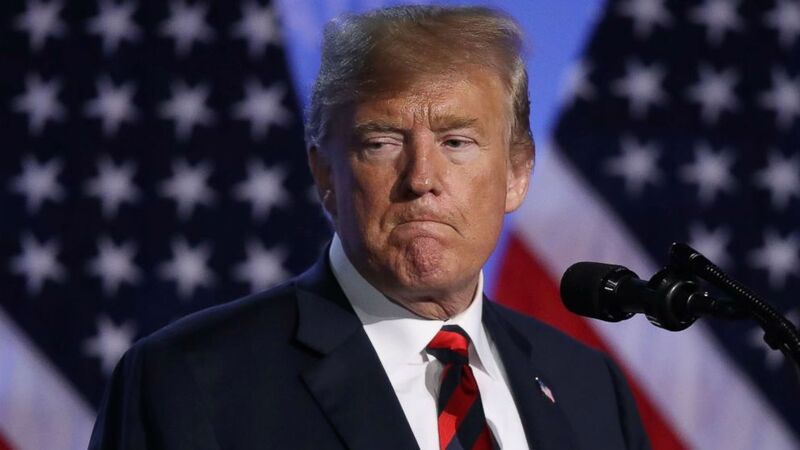 "I fear he'll make the same concession with the security of our European allies," said Kori Schake, the Deputy Director-General of the International Institute for Strategic Studies in London who worked at the Pentagon, State Department, and National Security Council. "Even if his concessions are more modest, they'll alarm Europeans after his behavior in Brussels. Our closest friends are deeply worried we're unreliable, that they can't trust us." Those fissures in the transatlantic alliance were already on display after Trump's angry demands at the NATO summit in Brussels last week. Even after Trump claimed the allies were all aligned and had agreed to his demands, many leaders said not only was there no new agreement but that Trump was damaging relations. 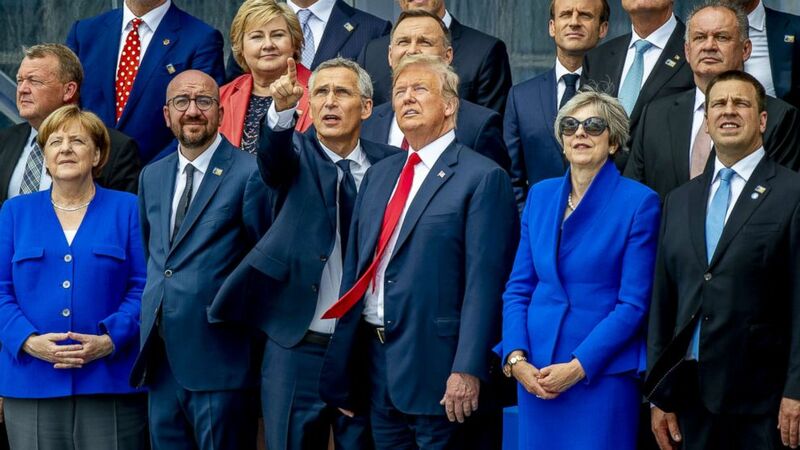 (ZUMAPRESS.com via Newscom) (L-R) German Chancellor Angela Merkel, Belgian Prime Minister Charles Michel, NATO Secretary General Jens Stoltenberg, President Donald Trump, British Prime Minister Theresa May and Prime Minister of Estonia Juri Ratas at NATO summit in Brussels, July 11, 2018. "Since [Trump's] election, he has been deconstructing all the tools that we call multilateral tools -- everything that organizes common life on earth, in order to be the only decider of his relationship with this or that country," French Foreign Minister Jean-Yves Le Drian said in an interview Friday. "He has taken steps towards the EU, notably on the trade level, aiming to destabilize it, but Europe isn't allowing him to do that." The stark, combative tone follows outrage among allies over Trump's major policies that have them questioning whether they share the same values, from his decision to move the U.S. embassy in Israel to Jerusalem and unwillingness to criticize Israel for killing Palestinians to his withdrawal from the Paris climate accord and the Iran nuclear deal. Even domestic policies, like the border separation policy that led to children being detained in separate facilities from their parents, has sparked condemnation from America's closest friends. "We do not share the same model of civilization. Clearly, we don't share certain values," a French government spokesperson said in June, while British Prime Minister Theresa May called the border policy "deeply disturbing," "wrong," and "not something that we agree with." Still, the transatlantic bonds will endure Trump's strains, experts told ABC News, and the summit itself is more likely to be window-dressing then any secret deals, although that in itself can be a victory for Putin. "I’ve been reassured by administration officials in the last few days, saying, 'He's not going to make a major concession on Ukraine, we're just opening a dialogue.' But I still believe that the optics, especially coming out just after the NATO summit, are likely to play into Putin's hands," Benjamin Haddad, a research fellow at the Hudson Institute, a conservative think tank in Washington. "The President of the United States neither knows nor cares what the terms of any agreement are; he's there for the spectacle and will make wildly inaccurate claims of success," Schake told ABC News in an email.